The new exhibit of documentary photographs taken by activist photographer Bob Fitch will have its opening reception on Tuesday, Sept. 30. 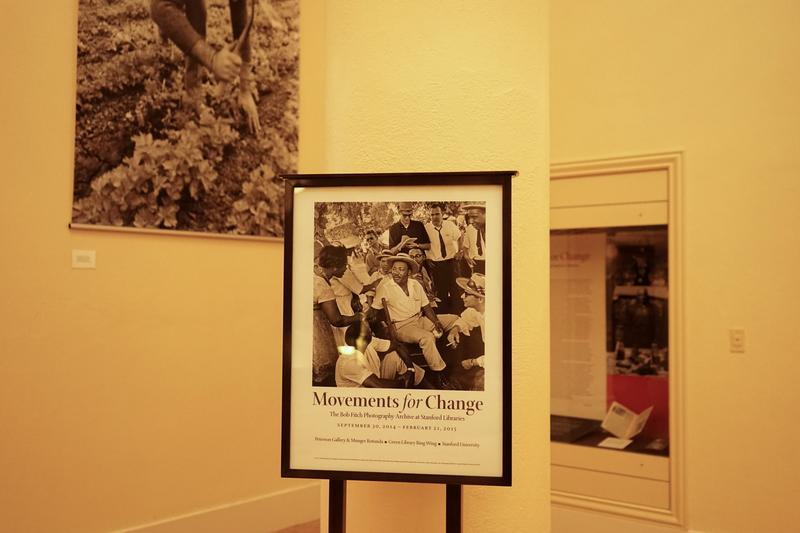 Entitled “Movements for Change,” the exhibit is located in Green Library’s Bing Wing rotunda. The opening event will feature a conversation among Fitch and veteran activists of the 1960s and 1970s. Stanford history professor James Campbell ’83 Ph.D. ’89 will moderate the discussion. Bob Fitch, who now lives in Watsonville, California, began working as an activist photographer in the mid-1960s and has since documented key moments and individuals involved in civil rights activism, farm worker organizations and peace movements. His work has featured major figures such as Dr. Martin Luther King, Jr., Cesar Chavez and Dorothy Day. Seventy black and white images are displayed in the exhibit, which was prepared by curators Benjamin Stone, Green Library’s subject specialist for American and British history, and Robert Trujillo, department head of Special Collections & University Archives. Stanford University Libraries (SUL) has also acquired more than 200,000 of Fitch’s images – in film and digital form – that were taken between 1965 and the present. The pictures will comprise a photography archive that will accompany the exhibit. In addition, SUL plans to digitally process approximately 10,000 images from the collection to make them available on SUL’s online catalog SearchWorks, where individuals and non-profit groups will be able to view and download the images free of cost.